Perma Plast PC 401 is based on hyper plasticizing sulphonated synthetic polymers. The Perma Plast PC 401 may be dispensed at dosages varying between 0.5 to 2 percent by weight of cement depending upon type of concrete required. We are manufacturing, exporting and supplying the best quality Perma Plast PC 401 across the world. Our range of Perma Plast PC 401 can be availed at the most competitive price range. 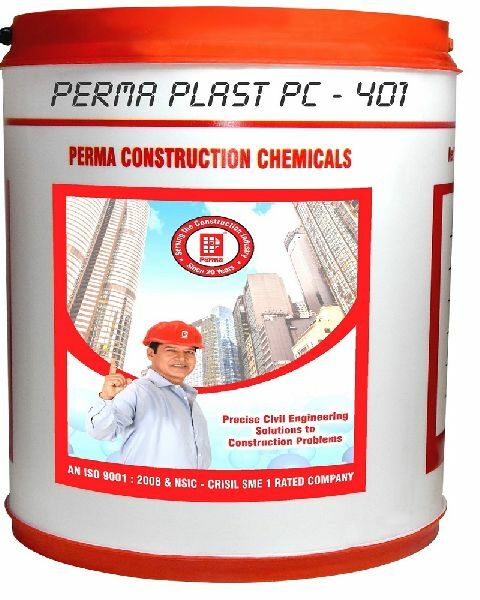 Perma Plast PC 401 is recommended in all high grade concrete which has a cement content of over 400kg/m3. Perma Plast PC 401 is recommended in hot weather concreting where workability retention over long periods is required. Perma Plast PC 401 is recommended in marine structures, pile foundations, bridge girders, caissons high rise structures and such structures are expected.